When you are sued over an unpaid debt – typically for credit card debts, medical bills or the remaining balance after a car was repossessed – if you lose the lawsuit, the court can issue the creditor a judgment against you. With this judgment in hand, the creditor can pursue you more aggressively. In many states, judgments can be used to obtain wage garnishments. In North Carolina, creditors generally aren't allowed to garnish wages except for support payments, incomes taxes or student loans. But that doesn't mean they can't go after other assets and that's where the judgment lien comes into play. Once a creditor obtains a judgment they can get a lien against any real property you own. This means they can apply the lien towards your home and try to force it into foreclosure in order to recover the amount you owe them. Judgments are particularly devastating because they are good for a period of 10 years with a 10 year extension available. This means that while there may be no equity in your home now, the creditor can wait you out and hope your circumstances turn around and then come after you. If you have been hit with a judgment but it hasn't yet gone to the lien phase, bankruptcy can typically void the judgment out and stop the process from getting more serious. But if there has already been a lien attached to your property, the bankruptcy can void the judgment but the lien can linger on and complicate your bankruptcy. If the lien is on your home and you surrender the property as part of your bankruptcy because you have no equity in the home and can't afford to keep it, the lien will follow the property. But if you keep your home after bankruptcy, that lien can survive and the creditor can later push for foreclosure to satisfy the debt owed to them. If you have a lien on your home or other real property such as land, a lien may be able to be avoided in bankruptcy depending on your circumstances and so long as your attorney files a Motion to Avoid the Judicial Lien. Your bankruptcy attorney will evaluate your situation to see if you're eligible to have the lien avoided. This is done by looking at the available bankruptcy exemption on your property, any creditor liens and other liens. This is then compared to the value of your real property. If the total exceeds the property value, you may be eligible to have your lien avoided (i.e. gotten rid of). 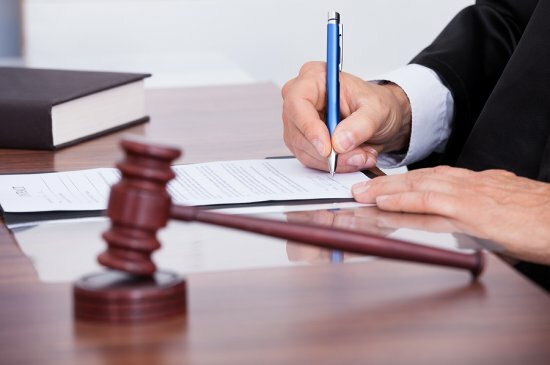 If your debt situation is so dire that you are getting letters from creditors threatening a lawsuit, have received notice that a lawsuit has been filed against you by a creditor or have been slapped with a judgment from one of these lawsuits, you should get professional advice now. Contact the law offices of John T Orcutt to find out more about how bankruptcy can help you stop these last-ditch collection efforts and preserve your rights to your property. Call 1-888-234-4181 for a free consultation at one of our convenient North Carolina locations.